With RealVNC remote access software, we can now fix 90% of the issues we receive remotely, eliminating travel time and costs, while helping our clients without delay. Based at Pinewood Film Studios in Buckinghamshire, UK, OptivITy Ltd provides IT support for 25 companies in industries ranging from catering, distribution and film production. 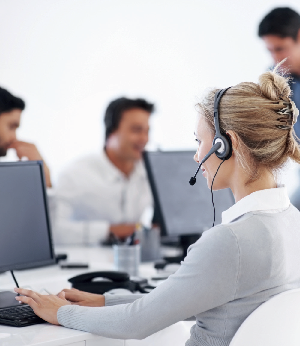 With the challenge of providing IT support for up to 1000 computers located around the UK, OptivITy required a solution that would allow its small team to access each computer remotely. RealVNC remote access software enables the support team at OptivITy to quickly access and view a remote computer to provide IT support when required, without the need to travel. OptivITy supports 25 companies spread across the United Kingdom, all expecting fast IT support when issues occur. With a small IT support team, OptivITy required a solution that would allow its team to access a client’s computer remotely to troubleshoot and resolve issues. It was also essential the software OptivITy selected is secure in order to put clients mind at ease. With around 60 support requests received daily, it would be unachievable for the small support team at OptivITy to travel between companies based around the UK. The RealVNC remote access software was chosen for its full feature set and deployed across 1000 computers. Now 90% of all of the support requests OptivITy receive are fixed remotely. Previously when updates were required, a CD would have been couriered to the client, or a deskside visit made, OptivITy now uses RealVNC’s software file transfer feature to provide critical updates. OptivITy finds VNC Viewer for iOS and Android to be useful when outof- office support is required, with team members being able to login to the required computer from wherever they are and carry out basic troubleshooting. OptivITy also uses remote access software to provide training, inviting users to connect to a computer to demonstrate how to complete tasks. Following the training, OptivITy is on hand to support individuals if problems occur. 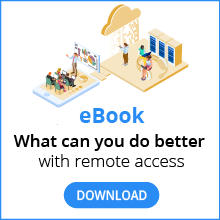 With multiple security mechanisms for a secure connection and the safe transfer of data, RealVNC remote access software provides the ideal solution for OptivITy’s requirements.